Join us for drinks Tonight, Thursday, December 5th at 7 pm as we celebrate the launch of two books published by McGill-Queens: James S. McLean's Inside the NDP War Room: Competing for Credibility in a Federal Election and William J. Buxton (ed. )'s Harold Innis and the North: Appraisals and Contestations. Harold Innis is widely understood as the proponent of the "Laurentian school" of historiography, which mapped Canadian development along an East-West axis. Harold Innis and the North turns the axis North-South by examining Innis's intense and abiding interest in the North, and providing new perspectives on this seminal figure in Canadian political economy and communication studies. A vivid, first-hand account of campaign strategizing, Inside the NDP War Room offers insights into the NDP breakthroughs of 2011, the full meaning of Quebec's "orange wave," and the future of a party preparing for a new reality. Jim McLean is an Associate Professor in the Department of Journalism at Concordia University. 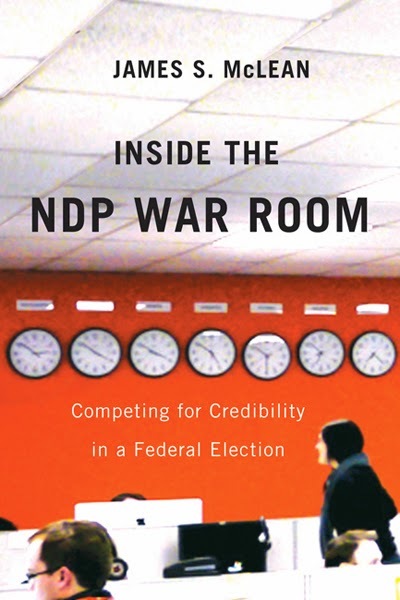 His recent book, Inside the NDP War Room: Competing for Credibility in a Federal Election (MQUP, 2012) was nominated for a Writer’s Trust Award. Dr. McLean’s previous works include Public Art in Canada: Critical Perspectives (UTP, 2009), a collection of essays from critical thinkers and artists, co-edited with Dr. Annie Gérin of UQàM. Dr. McLean’s past experience includes a full career as a broadcast journalist (CTV and the CBC) in Western Canada. 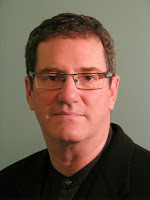 William J. Buxton is Professor of Communication Studies at Concordia University in Montreal. He is the author of Talcott Parsons and the Capitalist Nation-State: Political Sociology as a Strategic Vocation. (University of Toronto Press, 1985), co-editor of Harold Innis in the New Century: Reflections and Refractions (McGill-Queen’s University Press 1999) and editor of Patronizing the Public: American Philanthropy's Transformation of Culture, Communication, and the Humanities (Lexington Books, 2009). Author of a number of articles on Innis, he is currently editing (with Michael Cheney and Paul Heyer) a two-volume, abridged version of Harold Innis's "History of Communications" manuscript (accompanied by some other of Innis's unpublished writings). Sponsored by the McGill Institute for the Study of Canada and the Media History Research Centre at Concordia University. Thursday, December 5th at 7 pm! 211 Bernard Ouest!